Latest news! 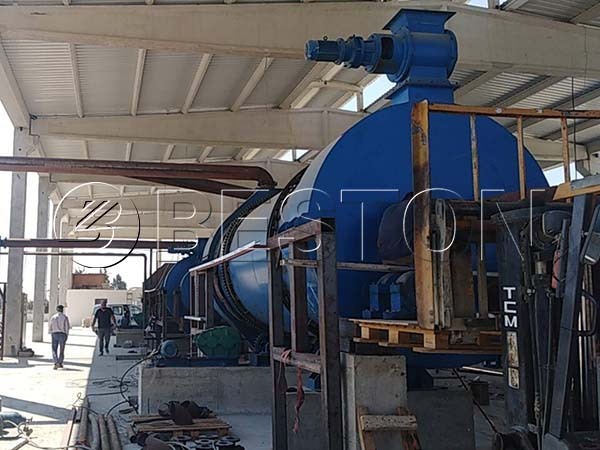 Beston carbonization plant in Turkey is under installation and commissioning. As shown in the pictures, the plant has already taken shape. The main equipment has been installed and the basic construction works have been almost finished. That is to say, the carbonization plant will be put into use very soon. Good news! 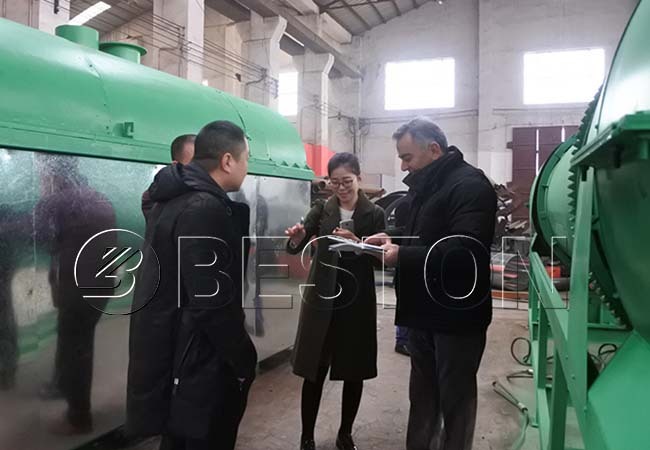 We received some waste carbonization plant videos and photos from our customers in Uzbekistan a few days ago. Up to now, the whole plant there has been successfully installed and put into use to process garden wastes. 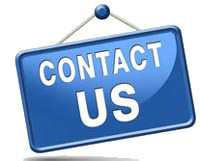 According to the feedback from our clients, the continuous carbonization plant is easy and safe to operate. Meanwhile, they are very satisfied with the quality of charcoal. 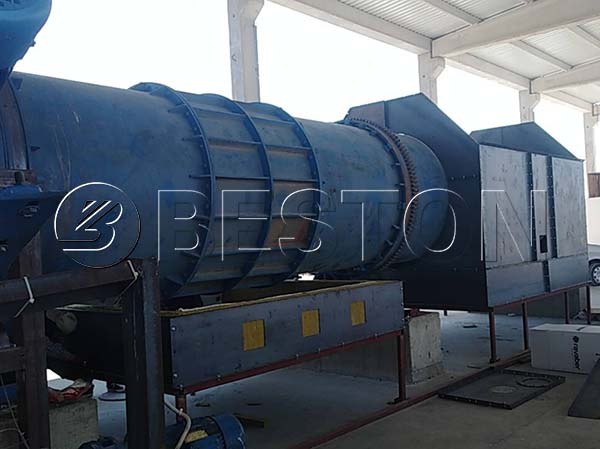 So we believe that Beston carbonization plant will bring them lots of benefits in the future. Here are some pictures during the installation. 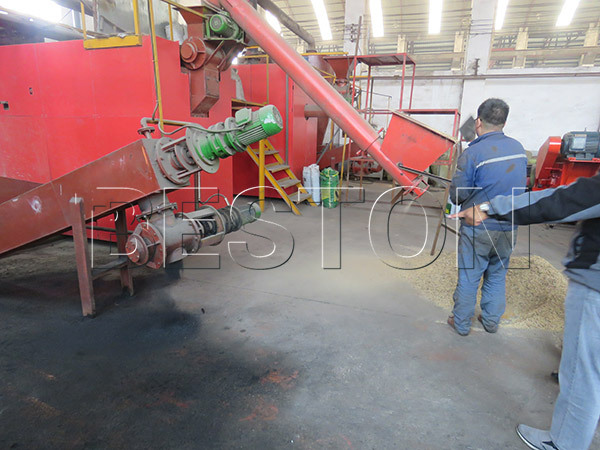 From May 8th to 10th, our clients from Chile visited Beston Group to purchase a charcoal making machine. 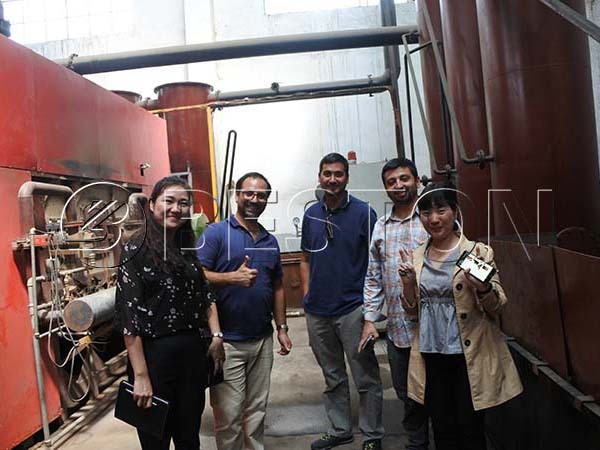 During this tour, they went to our factory and checked our testing carbonizer machine on site first. 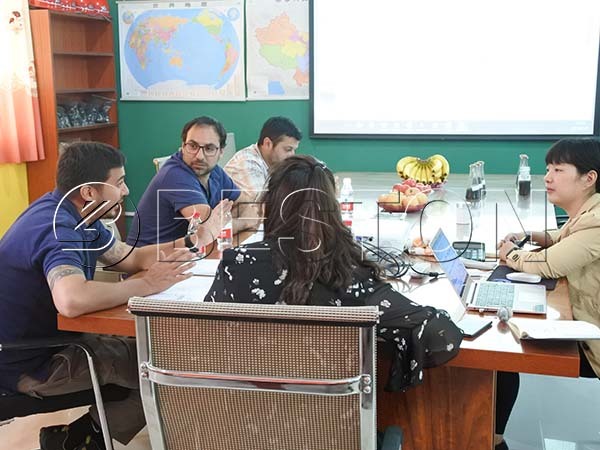 Then our sales managers and engineers proposed to them a specific charcoal production business plan according to their requirements and conditions. After that, they came to visit our head office. And they were very satisfied with our service and products. Both of us expect to work together further. 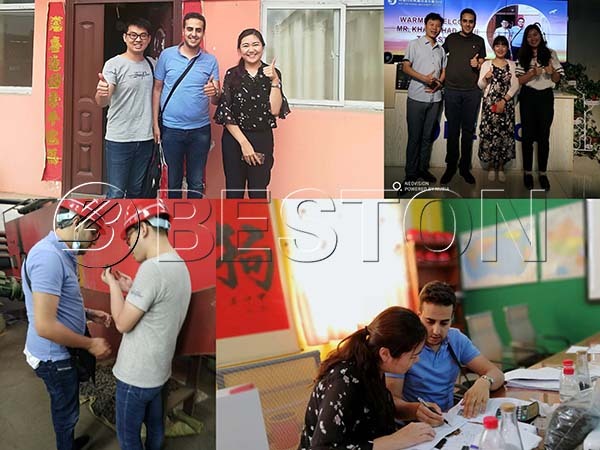 On the morning of June 3, 2018, our Algerian customer arrived in Zhengzhou and then went to Beston carbonization factory with our sales manager. In the factory, our sales manager and engineer first introduced our equipment briefly. Then they showed the customer a preliminary business plan according to his basic conditions. 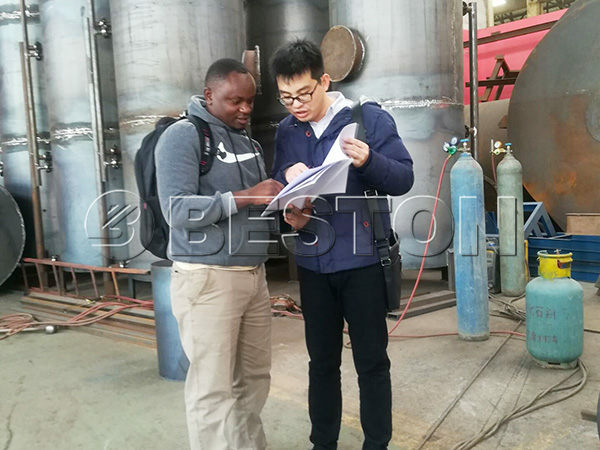 After that, they checked the operation line of our charcoal carbonization furnace on site. When they went back to the office, they talked over more details. On June 4, our customer came to visit our head office. As we expected, our customers were very satisfied with the whole journey. More importantly, our products and services made a good impression on him. We are looking forward to the further cooperation. 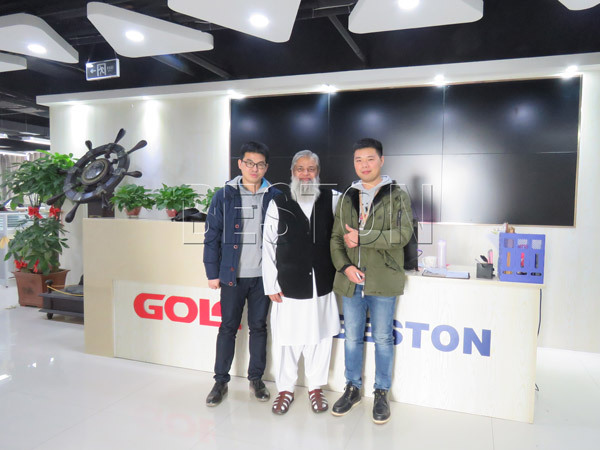 Recently, our sales manager has accompanied our customer from Turkey on a visit to our factory. During this visit, our client repeatedly praised our professional teams from our sales manager to our technicians. Together with the suitable business plan that we proposed for him, he was glad to partner with Beston Group.